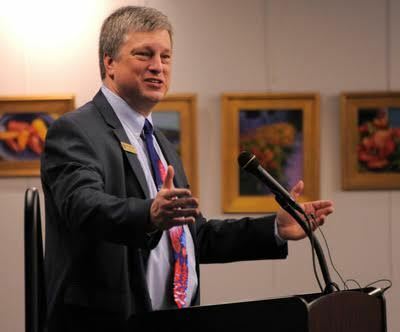 Wayne Williams served as the El Paso County clerk and recorder before being elected secretary of state in 2014 with more votes than any other secretary of state candidate in Colorado history. During his campaign, the Republican candidate received the endorsements of the only two Democratic mayors in El Paso County because of the fair and even-handed manner in which he handled election issues. The Secretary of State’s office is known for innovation. Colorado last year became the first state in the country to offer business certification services online. And Williams recently announced Coloradans can now access registering to vote or updating their registration with a simple text. You’ve probably seen his name plenty in the news lately, with U.S. Senate candidates suing to get on the ballot and interest in the ballot measures on the November ballot. Williams commutes to his office in Denver, so when he’s not talking elections he’s likely to be discussing transportation problems in Colorado. This fall marks the first presidential election Williams will oversee as secretary of state.